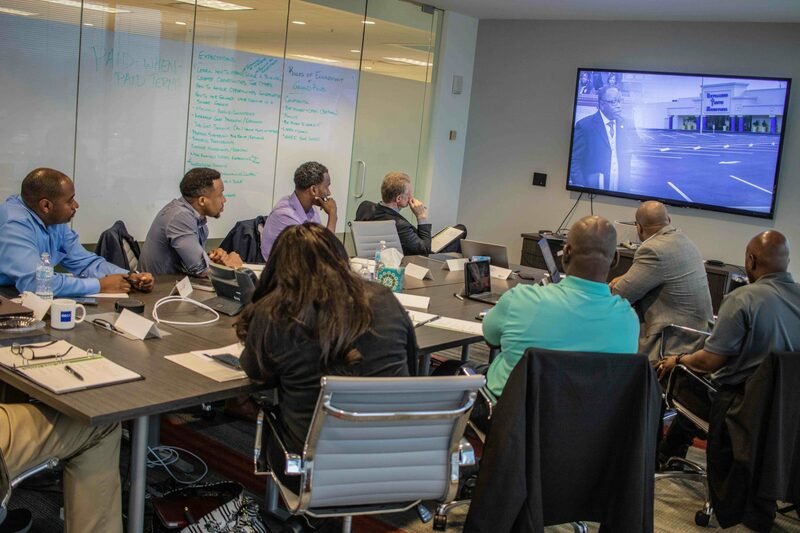 On March 21st at 9 AM in the Beck Atlanta office, we kicked off class two of our mentor protégé program. Through the MPP pre-interview process, we sought to gain a real understanding of each of the companies’ current position along with identifying their pain points. 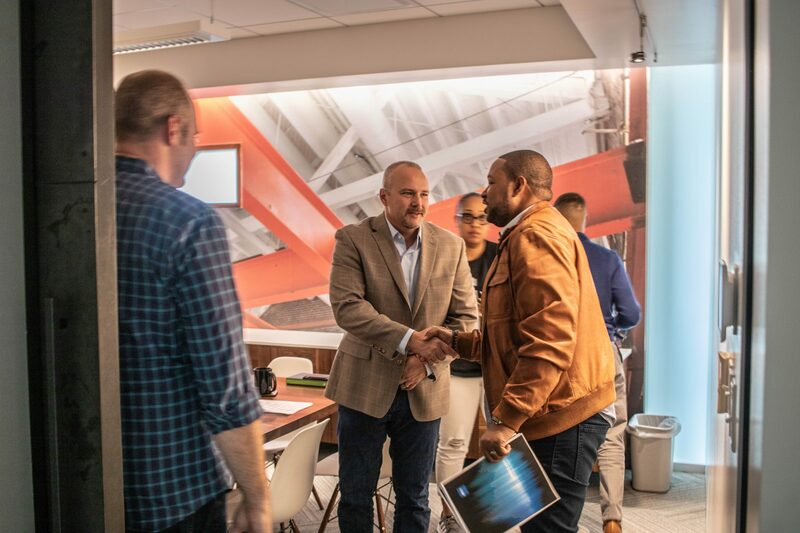 From this discovery, we custom-built a curriculum that speaks directly to each of their issues and partnered up with resources that will help address sustainable solutions for these companies. In putting together the curriculum for class two, we went through our entire resource pool and found the best resources that could speak intimately and intelligently on the topics of our protege’s needs. 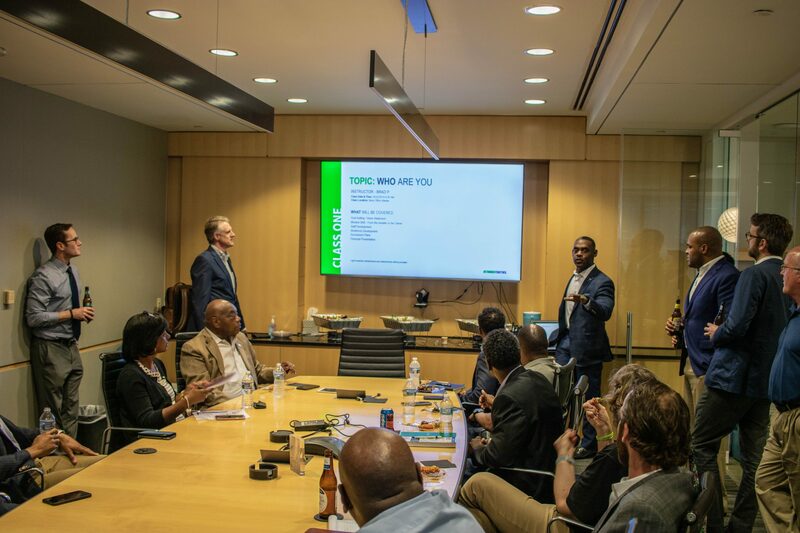 That extensive search brought us to Mark Collins, Beck’s Chief Financial Officer; Raymond Alletto, Beck’s Director of Risk Management; Devin Phillips with Nielson Wojtowicz, Neu & Associates and his guest Erik Tyson; and Lori Statome & Courtney Leiker, Beck Atlanta Regional Accounting Managers. 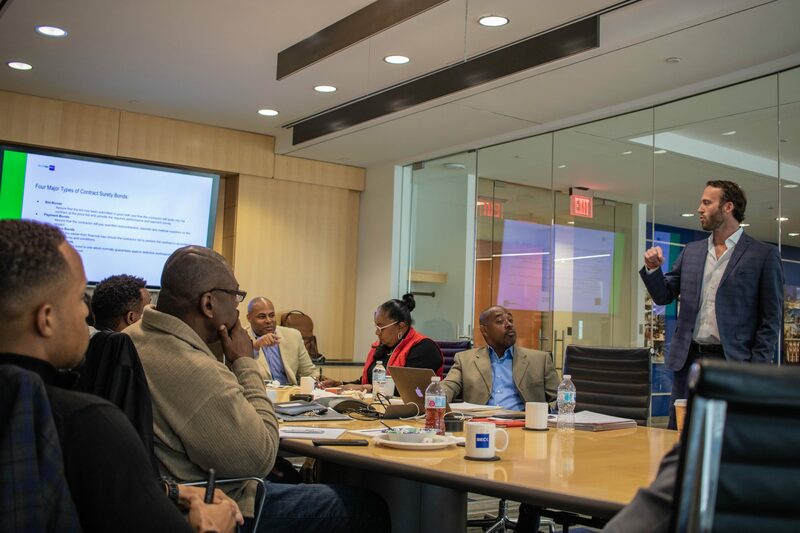 The amount of insight that these professionals provided to the group was indeed the type of information that will help our proteges to create a stronger foundation that will lead to real impactful growth. 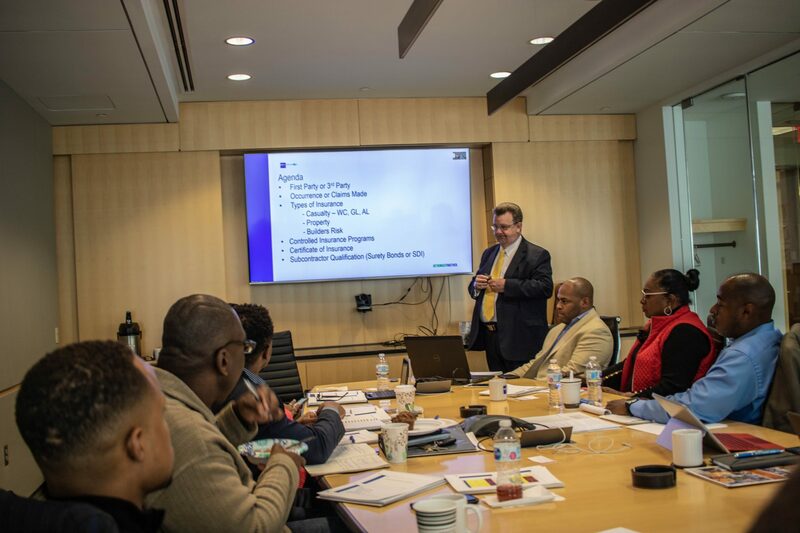 In fact, at the conclusion of this class, Robert Gray, President/COO of EGM Services, approached Allen II & Allen Sr to share with them that he was just awarded a multi-million dollar contract for a Beck project located in Atlanta. 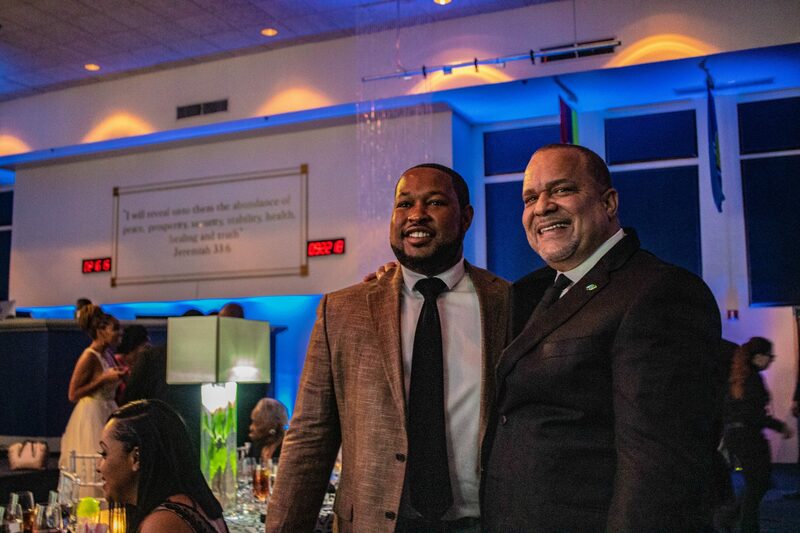 It is this level of impact that we look to continue to spread throughout our local communities; real opportunities with real mentorship that causes real impact for real people. 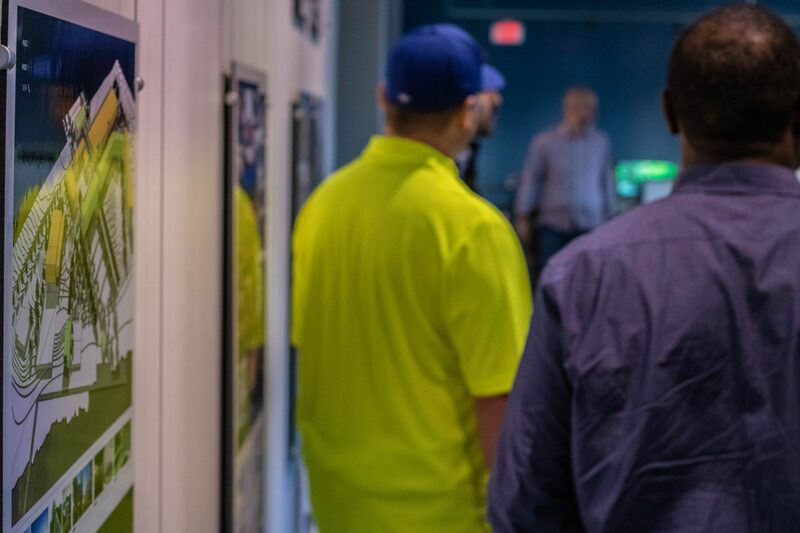 On February 22nd, something very special happened at the Beck Atlanta office. Though it was the very first day of class for our mentorship protégé program, Brad Phillips started the group off with an exercise that completely shifted the dynamics of the first class. In the marketplace, we understand that the impact of B2B transactions are largely attributed to the value of the relationships that reside within those organizations. We also understand that true relationships are formed based upon trust, and in order for that trust to be established, transparency must take place to reveal the root of an individual for a true interest to take place. Well, that is exactly what took place during Class One. Mr. Brad Phillips, with 37 years of leadership experience, took his experiences and created an atmosphere of vulnerability that left every business leader in attendance open to sharing their life’s story. It was at this moment that we were able to discover the true power that resides within our communities. With Allen Greene II and Allen Greene Sr, Co-Founders of Envision, breaking the ice by sharing their story through a heartfelt video; a spark was created that inspired a true depth of transparency throughout the entire room. One thing that life has taught us at Envision is that you can tell a lot about the end of a thing by examining how it begins. Well, with a beginning like this one, the sky is truly the limit for how this program will help the businesses involved impact the lives of the people that live within their local communities. Beck Envision; Proving that more can be accomplished – Together. 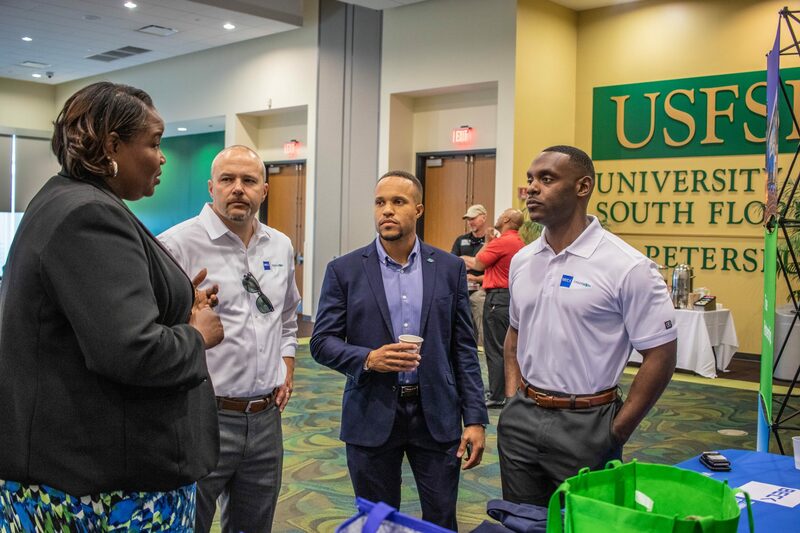 On February 20th, the Beck Envision team connected with many MBE businesses from around the St. Petersburg community at USFSP’s Supplier Diversity Open House event. 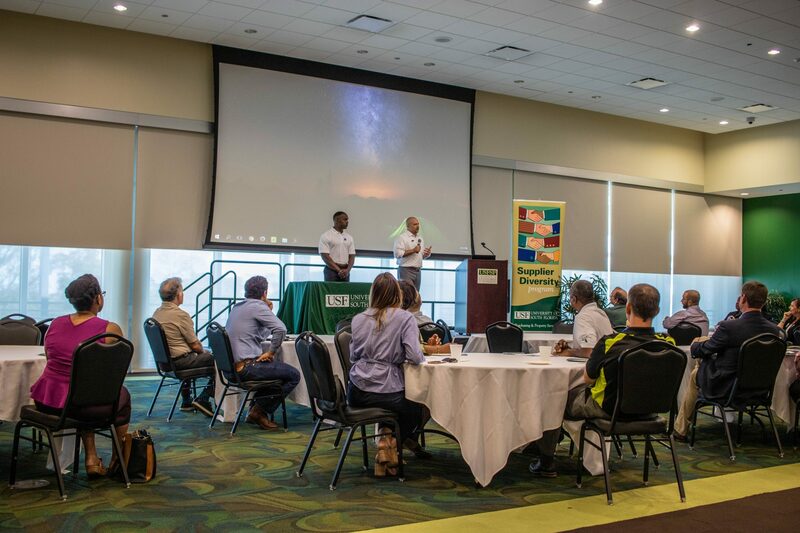 During this event, we had the opportunity to share with the attendees the passion behind the Beck Envision relationship and our goal of building the local community. 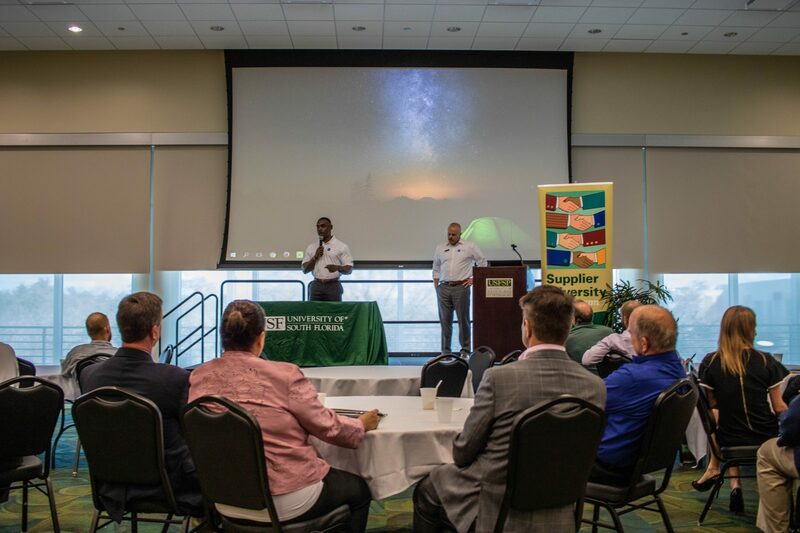 The Office of Supplier Diversity at USF, led by Terrie Daniel, is the reason why MBE companies within the community are provided with real opportunities that evoke real growth. Terrie Daniel has a real passion, and goes over and beyond what’s required, to bring local small businesses together. As an advocate on behalf of small-, minority-, service-disabled veteran- and women-owned businesses, Terrie provides local businesses the chance to have a seat at the table that will greatly impact the future of their companies, forever. 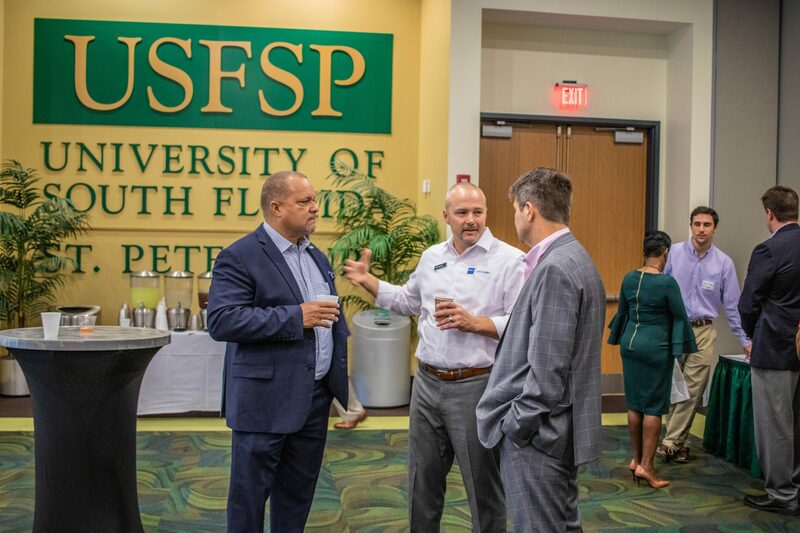 The University of South Florida system is an organization that truly believes there is great power in diverse thinking, and takes great strides to include this in everything that they do – from research to academics to construction projects. 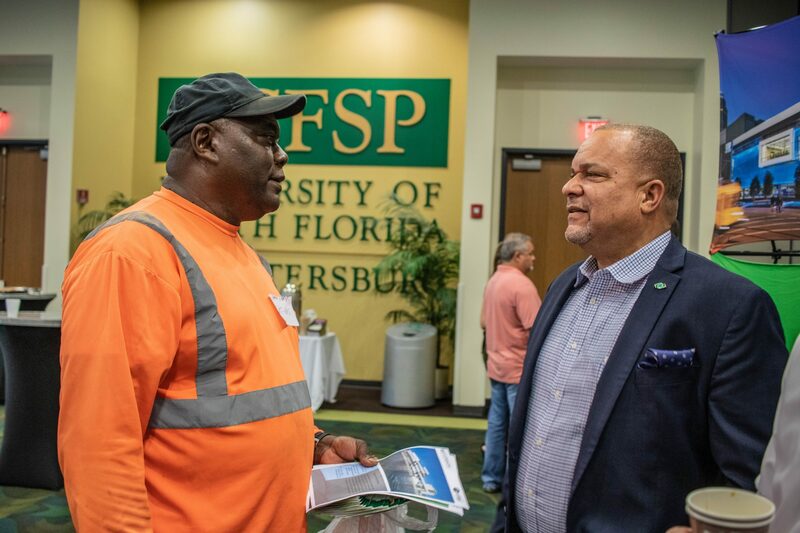 The commitment USF has for building the community has not only greatly impacted the future of our company, but will continue to impact many companies at large, to come! The Beck Group, over the past 100+ years, has done more than design and build buildings; yet in fact, they’ve built communities. 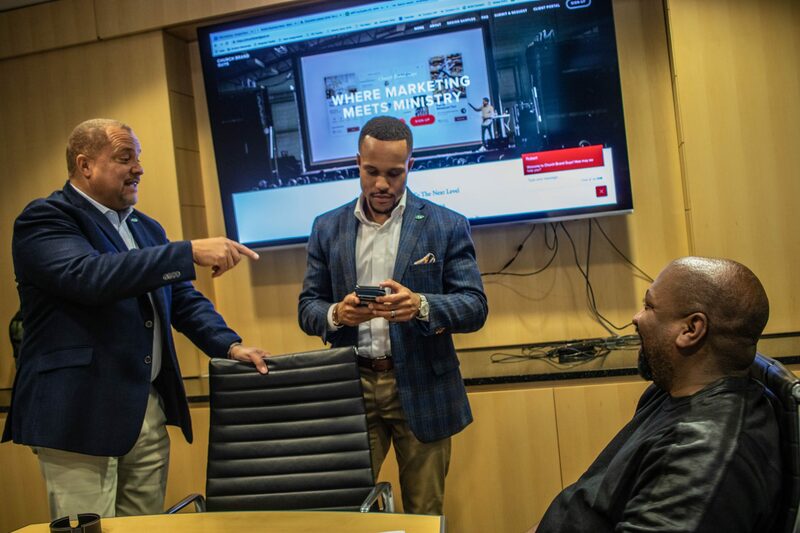 In Atlanta, one of the ways that The Beck Group has moved to continue this effort is through the newly-launched Atlanta-Based Beck-Envision Mentorship Protégé Program. 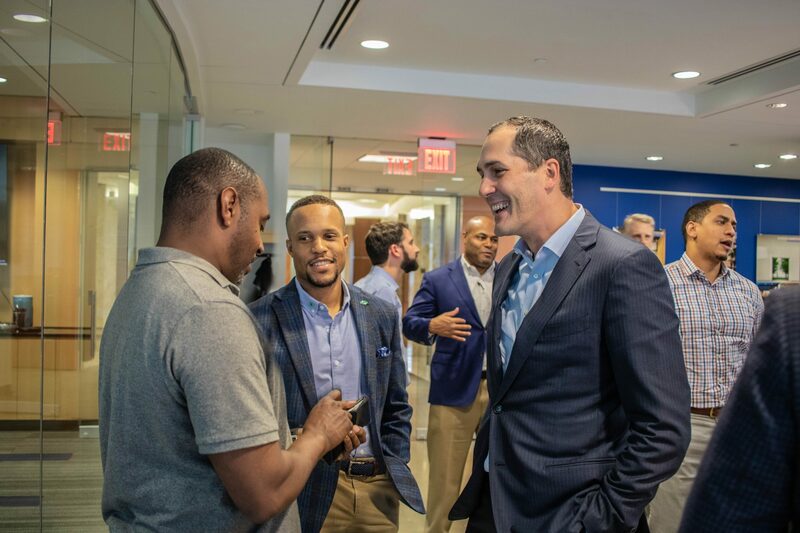 The goal of this seven-month mentorship program is to give diverse companies the knowledge to grow their businesses, build networks and develop relationships in order to pursue work with The Beck-Envision team; all with the purpose of creating successful long-term partnerships. 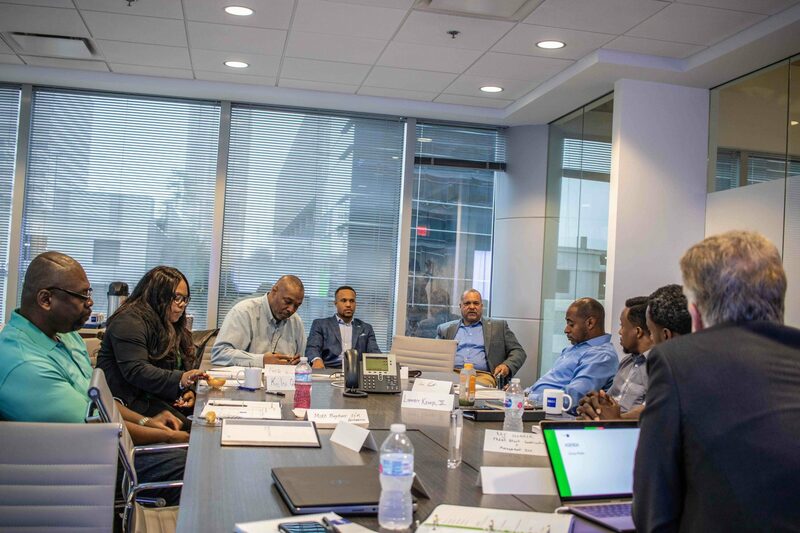 After successfully executing a similar mentorship program with the Beck team in Tampa, The Beck Group Atlanta saw fit for the Envision team to partner with them on this effort to ensure the success of developing MWBE firms in Atlanta. 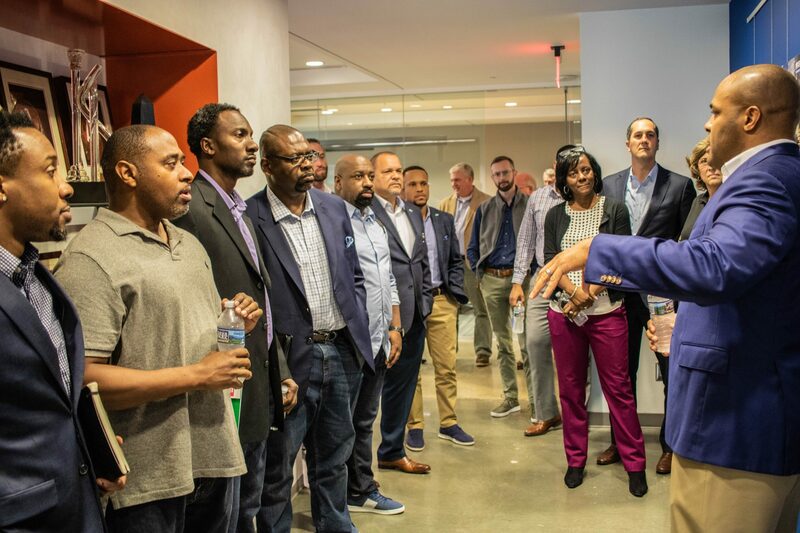 Over the past six months, The Beck Group Atlanta has worked diligently on building their Minority and Women-Owned Business Enterprise (MWBE) outreach efforts; an effort that has stemmed from their genuine interest in building relationships that transcend the typical transactional interface. What the team at The Beck Group and Envision have in common, is our desire to obtain relationships that surpass the typical one-off contractual fee-for-service interactions. Instead, our team, together is striving for mutually beneficial partnerships where trust, faith in knowledge, shared risk taking, professionalism and sincere concern for one another drives the interaction. 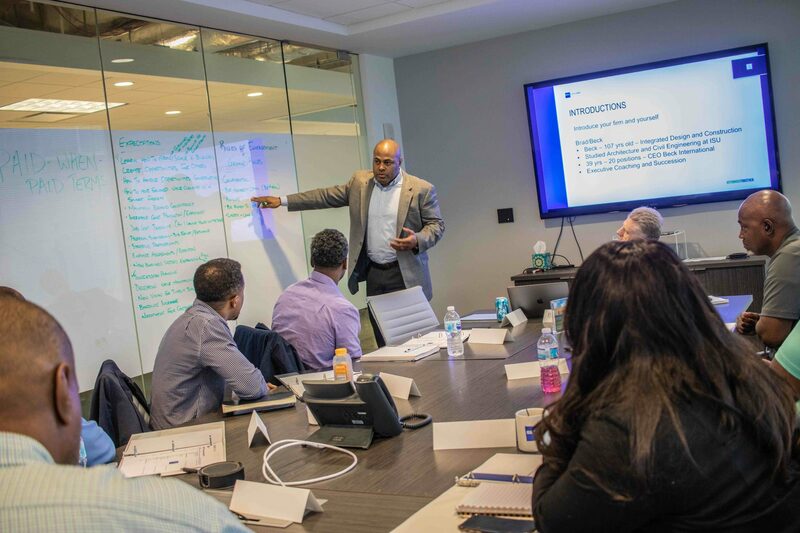 After numerous interviews with Atlanta-based MWBE firms, the Beck-Envision team has identified a talented and enthusiastic group of firms with true partnership potential. 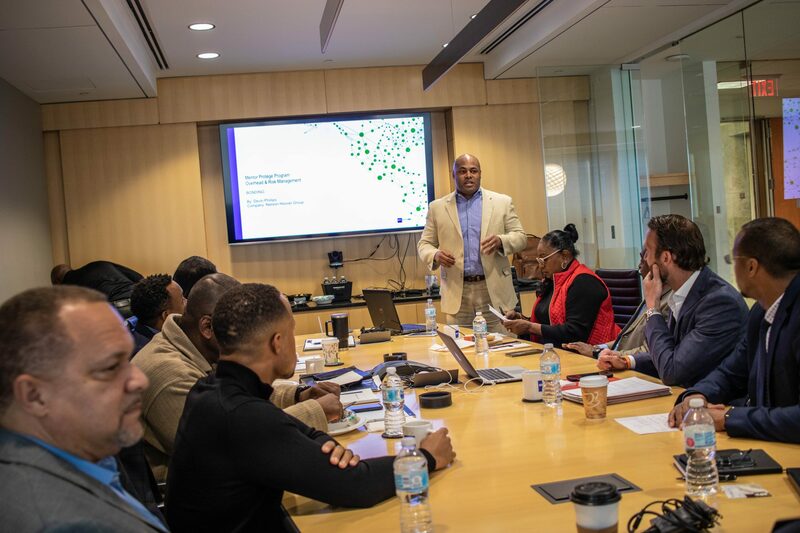 The seven-month program with participating protégés kicked off on Thursday, February 7th, where the Beck-Envision team, along with the program protégés had the great opportunity to start building relationships that, we hope, will blossom over the coming months. 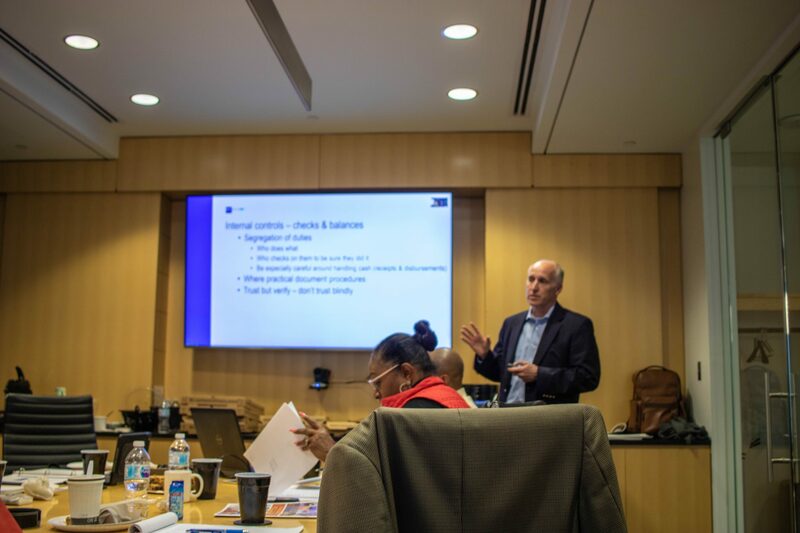 The Atlanta Mentorship Protege Cohort will meet once a month and cover topics such as, mission and vision statements, cash flow management, project execution, contracts and growth strategies. In short, community is the bedrock of our existence. 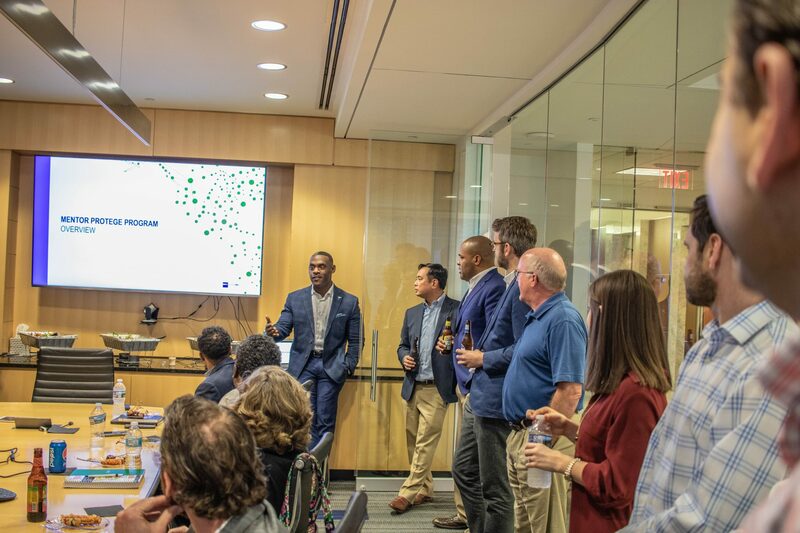 At Beck-Envision, we believe that our diverse community should be well represented on all of our teams, share in the prosperity of our projects, and join us in celebrating successful project completions which shape the Atlanta skyline. We, the Beck-Envision team, see this program as means to that end. 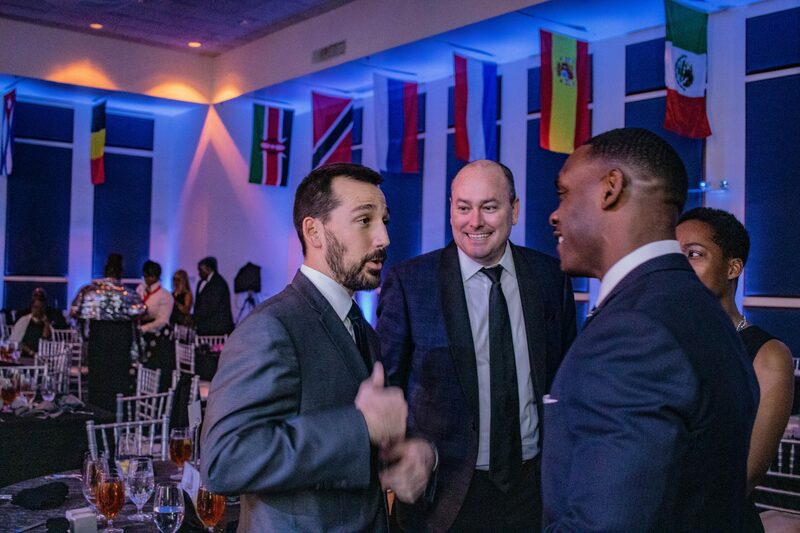 “Legacy” and “Impact” are two words to describe the night that the Beck Envision team experienced while attending Revealing Truth Ministries’ Founder’s Week Legacy Gala on Thursday evening. 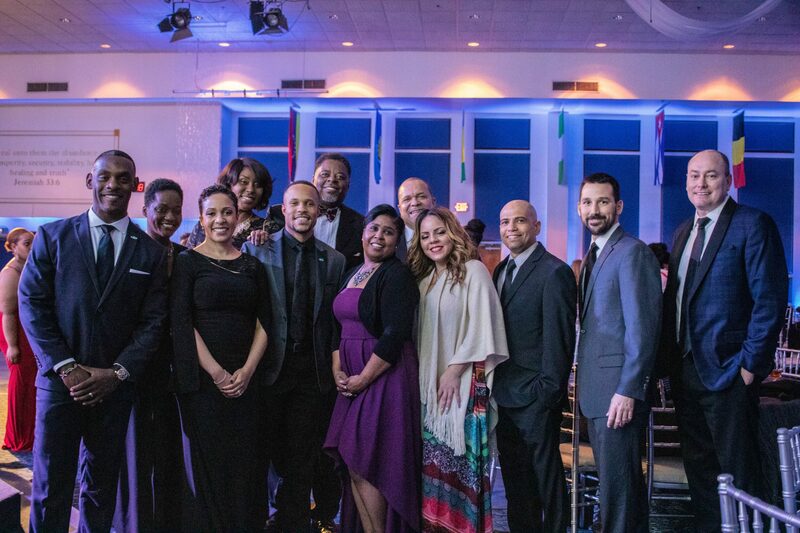 With dimmed lights, beautiful decor, and captivating experiences, from dancing, to musical selections from Sound of Truth & so much more – the evening was filled with commemorative displays of the vision that Revealing Truth Ministries stands on, set by their Founding Pastors, Pastors Greg & Deborah Powe. When Revealing Truth Ministries was formed 28 years ago, the journey started by the Founding Pastors, Greg and Deborah Powe, packing up their family & moving to Tampa to follow the vision that was laid on their hearts. Many years later, Revealing Truth Ministries stands as a ministry known for their significant impact throughout the city, leading various innovative initiatives throughout Tampa Bay. As the Founders Week Legacy Gala was titled “Remembering the Promise: Its Time to Build”, guests attending had the opportunity to not only hear from the Founder of the Mighty Marching Lions Marching Band on how the band began, and the significant impact that it has had on its members; but also had the pleasure of receiving powerful inspiration from various ministerial leaders, encouraging the members and guests that the time has arrived to continue building on the legacy that was set for the ministry, 28 years ago. The Beck Envision team stand in great anticipation alongside the members of Revealing Truth Ministries, excited and awaiting to see all of what will come out of this great ministry. It’s time to build. Today, The CDC of Tampa hosted its annual Suit Up and Show Up Event; A time that brought together young men, ages 16-24, to teach them about the importance of life skills, goal setting, and financial literacy — all while providing each participant with a tailored suit, shirt, tie and dress shoes. Many men, and members of our community, joined together with the CDC of Tampa today in order to ensure that the young men attending today’s event had a day loaded with wisdom, insight, great conversation and amazing help during their Suit Up Shopping Experience. All of the young men in attendance had the opportunity to first, be measured by professional tailors, to start off their shopping experience. 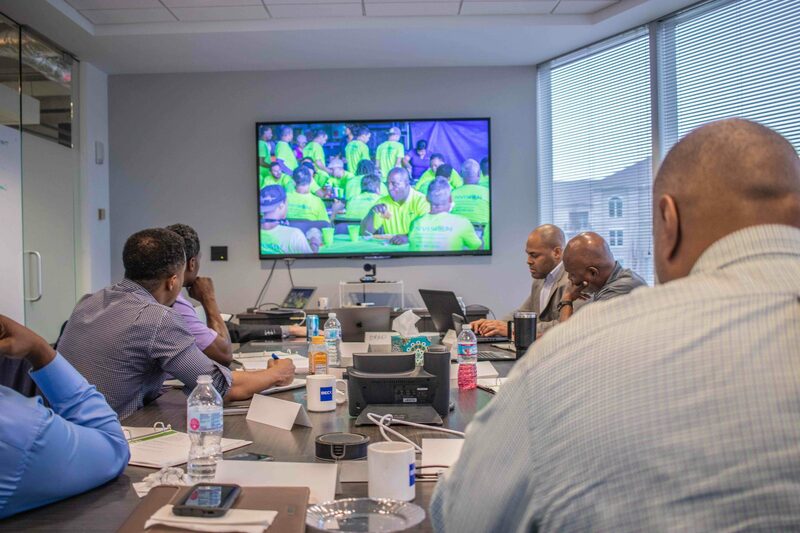 Following, they received one on one guidance from the volunteers- professional men from throughout Tampa Bay, when selecting their choice of professional attire. What took place today, however, was more than just a shopping experience. 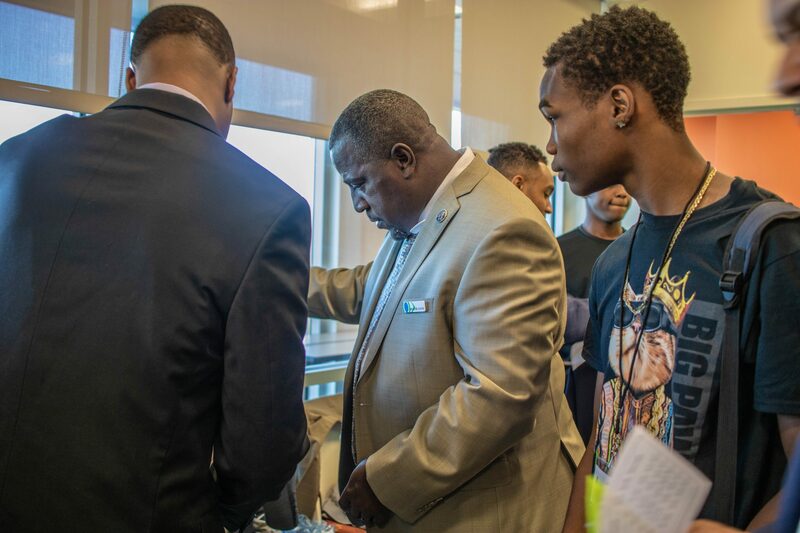 While the volunteers guided the young men in choosing their apparel, they also took that opportunity to uplift the young men and pour into them. 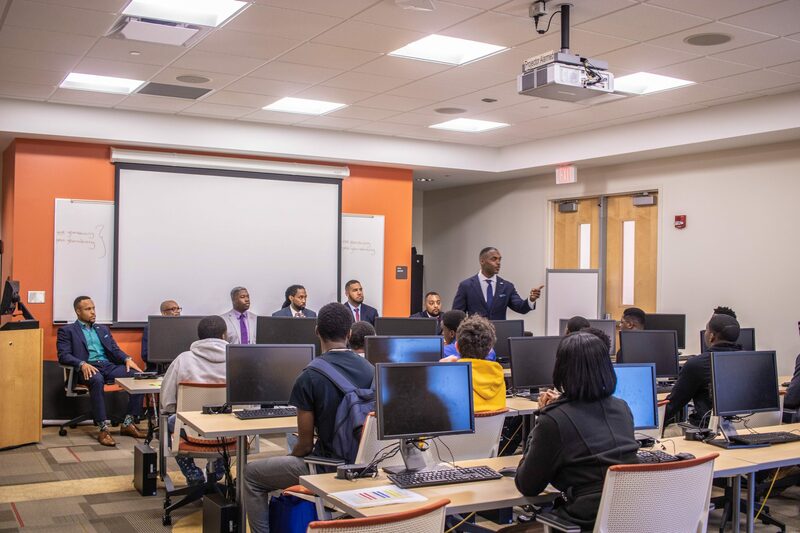 Aside from today’s shopping experience, however, Suit Up and Show Up hosted several rounds of panel discussions where the young men had the opportunity to hear from more men from throughout our city about important life lessons that brought them to where they are today. 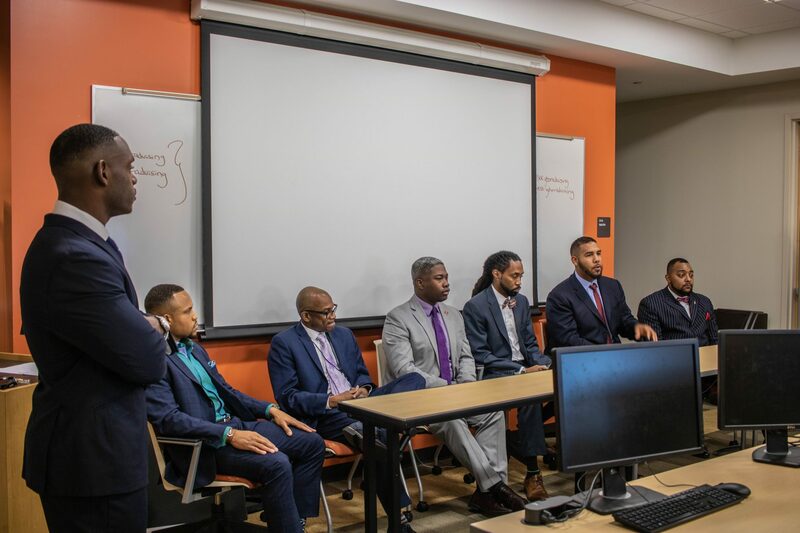 These discussions allowed the young men the opportunity to ask each of the panelist questions that has the potential to shape the very steps they decide to take from this day forward. 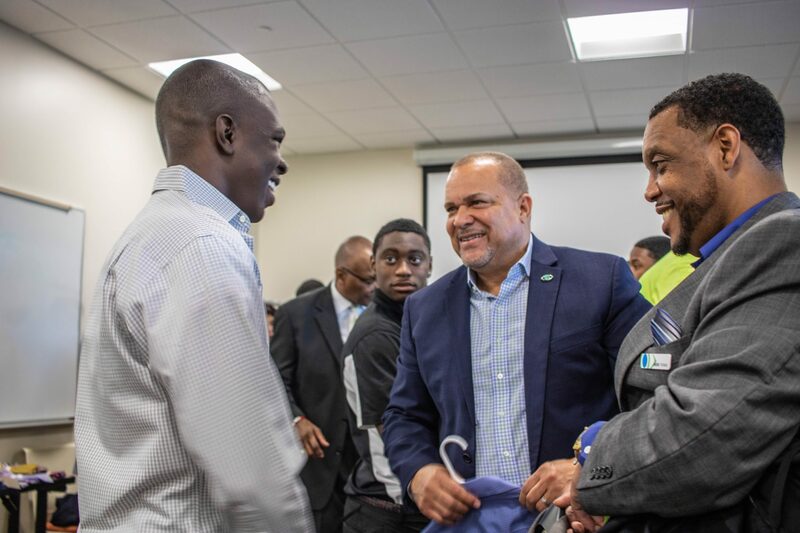 It’s opportunities like this one, that brings together professionals from throughout our community to guide and mentor our young men, that has the power to shape our city for generations to come. Thank you to the CDC of Tampa for conducting such an impactful and powerful day full of events for our young men. Today was a great day for the Beck | Envision Mentor-Protege Program (MPP). Our MPP is a program designed with one purpose in mind; Impact. The Beck | Envision Mentorship Protege Program is unique to the Beck | Envision Partnership. 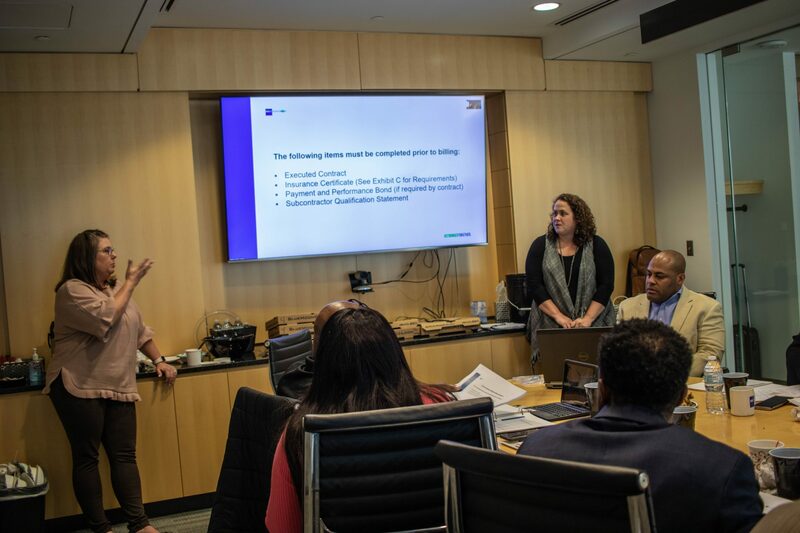 During the program, Beck and Envision take what Envision has learned from Beck during our mentor-mentee relationship, paired with industry information relevant to working on Beck | Envision integrated projects, and we expose this information to the MBE’s who have been invited to participate in the program. 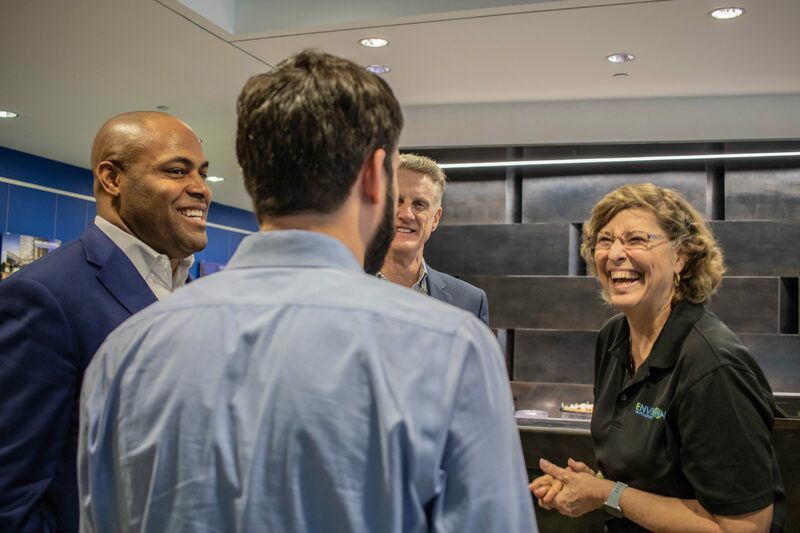 Once the MBE’s have successfully graduated from the Mentorship Protege Program, we immediately begin our active mentorship approach by involving them on Beck | Envision integrated projects. The key to what creates real impact within our Mentorship Protege Program is our approach to Active Mentorship. True mentorship takes place only once a real relationship has first been established. It is through this genuine effort that one will possess the heart to care about the other individual enough to truly put forth the amount of time, resources and energy needed to help them gain the advantage, with no motive or personal gain involved. To build on this, today we concluded a series of interviews with a powerful resource for our proteges. Robert is the owner of a marketing and digital media company that provides small companies with world-class level marketing assets for print, social media, web, and even full web design and web development. Because of the heart that Robert has towards helping people, these items will be provided to our proteges at prices that are simply unheard of! 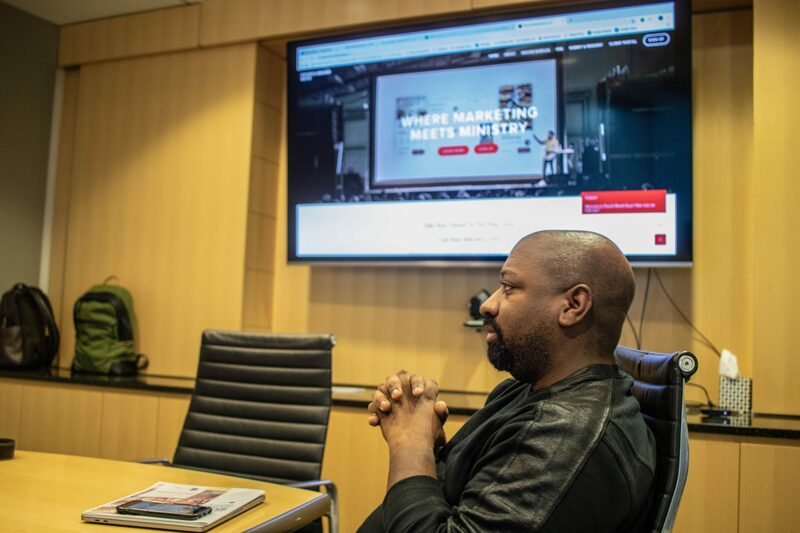 Understanding the power that great marketing can have on a company, we are truly excited about the amount of impact that we are getting ready to witness, and the next journey of growth for our proteges! 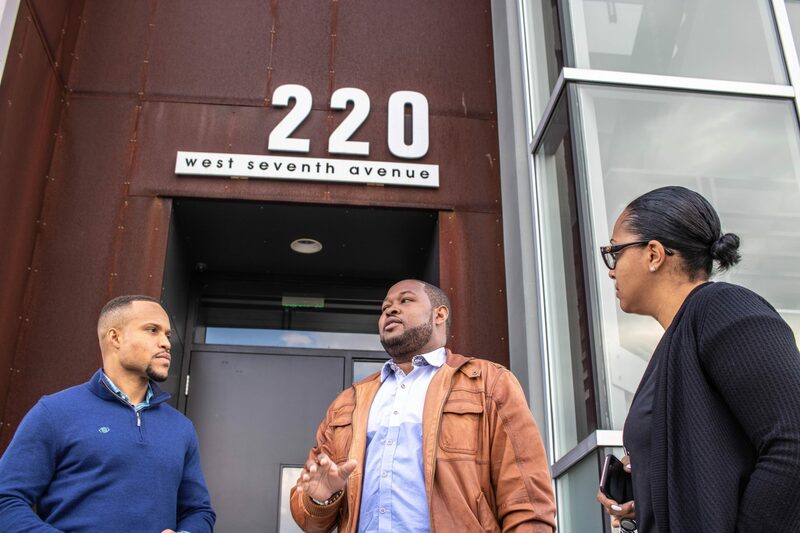 At Envision, it is our saying that we are truly a product of great opportunity, mentorship and our community. It was many years ago when Allen Greene II, Co-Founder of Envision, finished high school and entered into college, that he discovered that after working with his father’s flooring company all throughout high school, his heart remained there. Therefore, instead of attending college, Allen II went to work with his father full-time and later co-founded Envision. It was because of Allen II’s exposure to the industry coupled with his hands-on experience that Envision was created, and that it is what it is today. The truth is, there are very real opportunities for high school graduates who may not be on the path to college, especially within the construction industry. Because at Envision, we recognize first hand, the power that exposure and opportunity holds, it is our charge to not only create opportunities for those individuals, but to also provide the necessary tools and resources required to be equipped for those said opportunities. 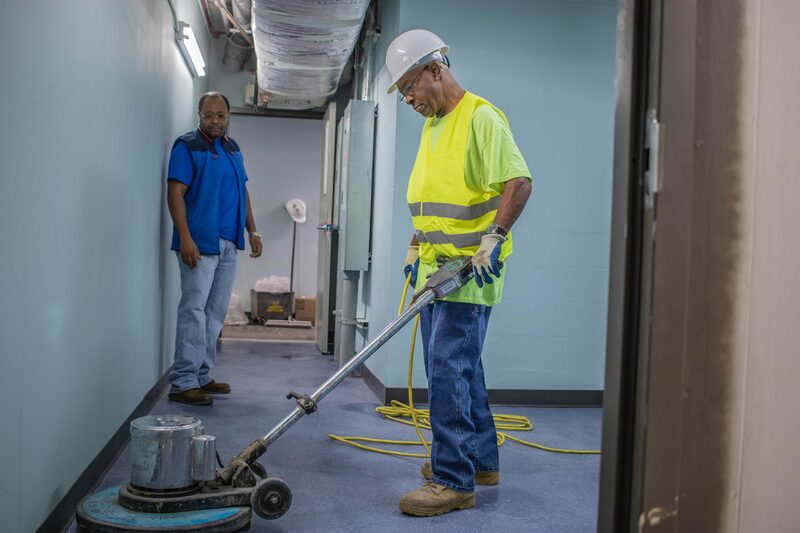 Because this is our charge, the Flooring division of Envision, teamed with the CDC of Tampa, have begun planning a short-term commercial flooring training program that will equip our next generation of construction workers with the necessary skills needed to excel in the commercial flooring industry. It is our pleasure to take part in this opportunity and to continue the legacy of opportunity, mentorship and community with our youth. Pastor Bryan Powe meets with the Beck | Envision Team to discuss construction plans for their 200+ acre Truth Dome land. 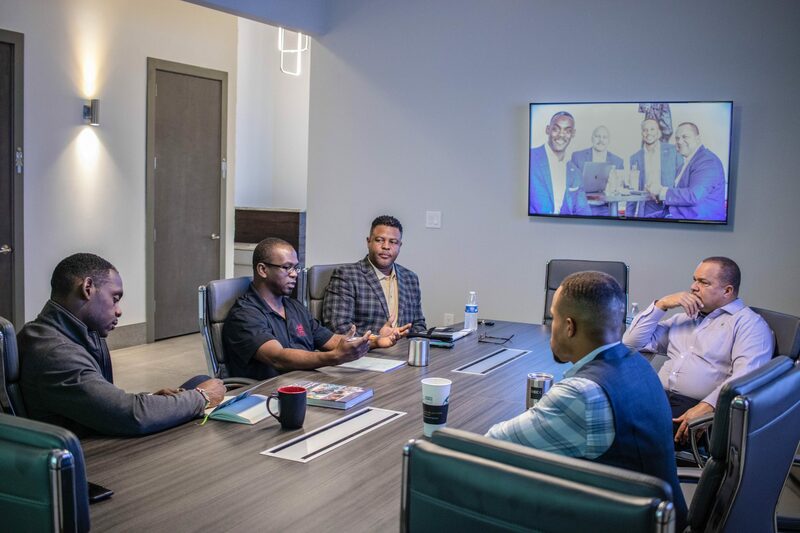 Today, the Beck | Envision team met with Pastors Bryan and Rashida Powe, Senior Pastors of Revealing Truth Ministries, to discuss the new development plans for their 200+ acre property located here in Tampa Fl. Revealing Truth Ministries Christian Center, founded by the late Pastor Greg Powe, is now being led by his son, the dynamically powerful, Pastor Bryan Powe. Revealing Truth Ministries (RTM) is more than a building and more than a place to come together for church services throughout the week – It is a community of believers connected by a vision much greater than them; a vision of using the truth of God’s Word to restore families, neighborhoods and the city back to God; a vision of helping others to establish a personal relationship with Jesus Christ, enjoy life and experience meaningful relationships with others. Ultimately, Revealing Truth Ministries is all about loving God and loving people. RTM’s commitment to impacting the lives of the people in this city is reflected in their plans for the function and usage of the Truth Dome land. As they have been known for birthing powerful programs such as Embracing Legacy, The Joy of Giving Tampa, (which has now been proclaimed by Mayor Bob Buckhorn as the “Joy of Giving Tampa Week”, thanks to Pastor Greg Powe’s spiritual son Thaddeus Bullard and his involvement) and The Mighty Marching Lions (which will be featured in The Children’s Gasparilla Parade), this land will continue to inspire more disruptive programs just like the others and so much more. The land also looks to be the new home for the Revealing Truth Ministries Tampa Campus along with a few new innovative initiatives that will inspire new ideas that will birth new levels of growth of our city and the people in it. This church has some amazing plans for this property and we are honored to be apart of the story that will impact lives for generations to come! Every new project that Envision embarks on presents another opportunity for our team to engage more of our Mentorship Protege Program protégés. With the Beck Envision latest mentorship program class now far behind us, the class did a great job of equipping our team with an amazing set of qualified MBE’s who are able to come alongside us on not only one of our projects, but consecutively on all of our projects. Max Volmar, Owner of M&G Janitorial Services, is one of those qualified MBE’s. Max’s professionalism, care and attention to detail, and his outstanding team are some of what continues to set him apart as a great company. In short, the quality of work that Max continues to bring forth on every Envision project that he has been a part of has been far beyond exceptional! It’s a great feeling to know the amount of qualified MBE’s who are right here in our own community. Thank you, Max, for always delivering your best work on every project!